Selling your home in 2018? 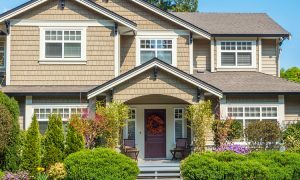 The spring home selling season is right around the corner and there is so much to do to prepare. Here are some things you can do now to make sure your home is ready to list when buyers are ready to buy. If you plan on selling your home next year and want to get the highest price possible, you should put it on the market at the beginning of the spring selling season. There tends to be less competition at that time, so homes listed in early spring will typically sell faster and closer to their list price than those listed later in the year. You’re probably thinking that spring is many months away, and you have plenty of time to get your house ready to sell. But spring comes early in real estate and home sales start heating up in February, right after the Super Bowl. So, really, you have only about three and a half months to get ready. Most people drastically underestimate the amount of work involved in preparing a home for sale. Don’t be one of them. Here’s a list of things you can do NOW, to make sure your home puts its best foot forward when the spring market rolls around. If the leaves are still on the trees, take photos of the exterior of your house now. Your house will look so much better than it will in January or February when the photographer shows up to take listing photos. One caveat: make sure there are no Halloween or other seasonal decorations in your photos. Make a schedule. Set February 1 as your go-to-market date and work backwards from there, listing all of the things that will need to be done to get your home ready for sale. Then put them on your calendar and start knocking them out. Have a pre-listing inspection done on your house. This is the same kind of inspection that your buyers will have done once their offer is accepted. It will cost you between $400 and $600 but it is well worth it. 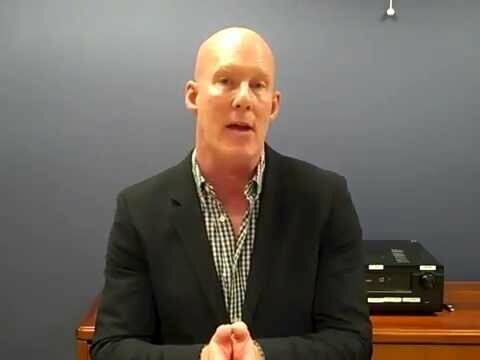 It will identify everything that needs fixing, and then you can take the time to get multiple bids and schedule the work.You will be shocked at how long the inspector’s list of needed repairs is, but it’s better to find out about them in advance and get them taken care of than to have your buyers hold your home sale hostage over the inspection credits they want. Have your real estate agent or home stager walk through the house with you and point out low cost updates or changes that you can make to maximize your home’s appeal. This could include rearranging or editing the furniture, applying a fresh coat of paint, removing wall-to-wall carpeting, or updating cabinet hardware or light fixtures. Get rid of the clutter! Undoubtedly you will have lots of stuff that needs to be packed away, donated, or disposed of, and dealing with it can be very time-consuming. Plan to tackle one room (and its closet) each weekend. Sort everything into four piles: give away, throw away, sell, and keep. Be ruthless. If you have trouble letting go of things or you find it all too overwhelming, line up an organizer to help you. If you have been keeping china, glassware, or furniture to pass on to your adult children, ask them if they even want it. Chances are they don’t, so now is the time to sell it or donate it. Selling your home is a big undertaking. Doing these five things now will get you well on your way to a successful home sale and help you maintain your sanity in the process. Anne West is a Realtor on Chicago's North Shore. She represents home buyers and sellers in the lakefront communities of Wilmette, Winnetka, Kenilworth, Glencoe, Northfield, Evanston, Highland Park and Lake Forest. West is a property marketing specialist, bringing 20+ years of consumer marketing experience to her real estate practice. She prides herself on getting her clients' homes sold quicker and for more money through her aggressive online marketing. West has been awarded the Chicago Magazine Five Star Agent Award for exceptional service and overall client satisfaction for the past six consecutive years (2011-2016). House Settling: Should You Worry? 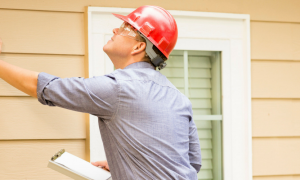 Learn why home inspections are so important and how they increase your properties value. Hear it from the real estate experts at Coldwell Banker.